For 60 years AS-Motor has been a quality manufacturer of professional mowing solutions for high grass and slopes. Starting with the development of its own proprietary 2-stroke engine, AS-Motor has been on the cutting edge of the industry and today is a third-generation family-run enterprise committed to a sustainable and inclusive future. Here you will find interesting information concerning our company history and values. AS-Motor is the market leader of robust yet agile professional-grade mowing machines, engineered specifically for slopes, high grass and rough-terrain.AS-Motor was founded in 1959 in Southern Germany and maintains a culture of innovation, high manufacturing standards, and an ethos of social and environmental responsibility native to the region. Professional users around the world appreciate our robust, powerful, and durable products. We work in partnership with Sales Partners in 35 countries to be close to our customers. In the 1950s there was no method to mow slopes without compromising on performance. Thus Alfred Schefenacker, an inventor living in Southern Germany, designed a two-stroke engine to power the first Allmäher up the steep and narrow slopes of the local vineyards. The first Allmäher went into production in 1961 and remains one of our best-selling products still today. AS-Motor began exporting to France at the end of the 1970s and quickly became that country’s number 1 provider of high-grass mowers. Since, AS-Motor has cultivated strong relationships with qualified sales, dealer and distributor networks and today our mowers are available in 37 countries worldwide, from Austria, Italy, Sweden, and the Czech Republic to the USA, Australia, and South Korea. Since these early years AS-Motor has remained a major innovating force, from battery technology in the late 1960s to our current line-up of remote-controlled machines that deliver not only robust cutting performance but the best in operator safety. Today, AS-Motor is a modern company that engineers custom solutions to unique mowing challenges. Whether mulching or flail mowers, ride-on or remote-controlled 4-wheel drive units, our machines are not only built to perform, but to last. We are a family enterprise led by third generation CEO Eberhard Lange, the grandson of company founder Alfred Schefenacker. AS-Motor is steeped in the Deutsche Mittlestand, a strong regional culture of lean, nimble companies that become world market leaders through a commitment to technology and Innovation. 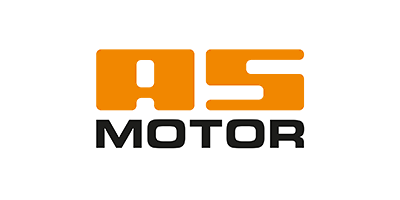 AS-Motor is dedicated to the quality and tradition of the Made in Germany label. AS-Motor has an in-house development and manufacturing process, monitoring each machine from start to finish. 70% of our parts are sourced from regional suppliers, which are vetted and audited for high quality standards. AS-Motor is committed to sustainable design – embracing form in function. AS-Motor machines are manufactured without superfluous parts, their lightweight construction translates to more efficient power and their long service life reduces consumer waste. 90% of AS-Motor machines are made of steel and recyclable metal parts. Many of our 130+ employees have worked at the company for many years or even decades, and it is not uncommon to find several generations of a family working here together. Partnerships with universities bring together our experts with young, fresh ideas for the future while social programs that integrate refugees and the disabled into the AS-Motor workforce demonstrate our commitment to the local community.